As President Donald Trump continues his assault on Obamacare — halving the enrollment period, cutting low-income subsidies and slashing marketing budgets by 90 percent — a bipartisan group of governors trudges on with its efforts to work with Congress to shore up health-insurance markets and bring down rates. 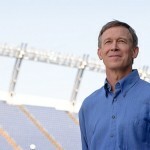 On Wednesday, Colorado Gov. John Hickenlooper and a group of nine other Democratic and Republican governors urged Congress (pdf) to move quickly to pass legislation to stabilize health insurance markets and make it more affordable ahead of the condensed open enrollment period that kicks off Nov. 1. Republican Sen. Lamar Alexander of Tennessee and Democrat Sen. Patty Murray of Washington have negotiated a bipartisan deal that helps achieve some of the governors’ goals, so the group sent a letter to Congress urging a vote on Alexander-Murray by the House and Senate. Trump alternately indicated both support and disapproval of the bill over the course of three days this week, making its future uncertain. The legality of Trump’s efforts to do what Congress was unable to do — essentially repeal Obamacare using executive orders and funding sabotage — may not be legal. According to the Constitution, presidents must “take care that the law be faithfully executed,” and Obamacare remains the law of the land. 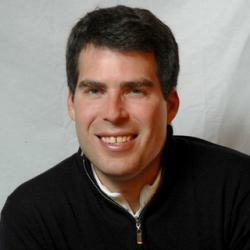 But to some extent, the damage has already been done, and the number of uninsured Americans is climbing. No matter what happens before Congress convenes later this year, Trump has put his imprint on the Affordable Care Act, destabilizing it in many significant ways and turning it into his own version of Trumpcare. 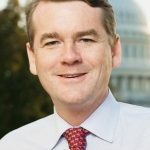 Colorado Sen. Michael Bennet has joined fellow Democrat Tim Kaine of Virginia in proposing a plan called Medicare X to develop a public option on the Obamacare marketplaces, according to Vox. It would be rolled out first in places like rural Colorado with only one or two private insurance options. The Kaine-Bennet plan will have a long uphill fight in both Republican-controlled chambers. And with less than 10 days until the open enrollment period begins, uncertainty and chaos rule the day, as insurance companies continue to jack up rates for individual and small-group plans and no replacement plan has been passed to stabilize insurance markets. Unless something dramatic happens soon, Obamacare will be well on its way to becoming Trumpcare, with millions of Americans paying higher premiums and deductibles, or losing coverage altogether.